I have been wearing this sweater and hat combo non stop! I love a good comfy oversized cable knit sweater. I can't believe how inexpensive this one is from Forever 21 (I have been having the best luck there). And it seems that lately I am wearing red on a daily basis with out even planning on it! This outfit has all of my current favorite things. Love your hat! Red is a really good color on you as well... And I'm super jealous of your sunny pics!! Love this cozy look!! Perfect for running around Christmas shopping! You look amazing! kinda remind me of gwen stefani! That's a compliment because she's gorgeous! Red has been my go to color this season as well! It really makes a statement. You look fabulous as ever! 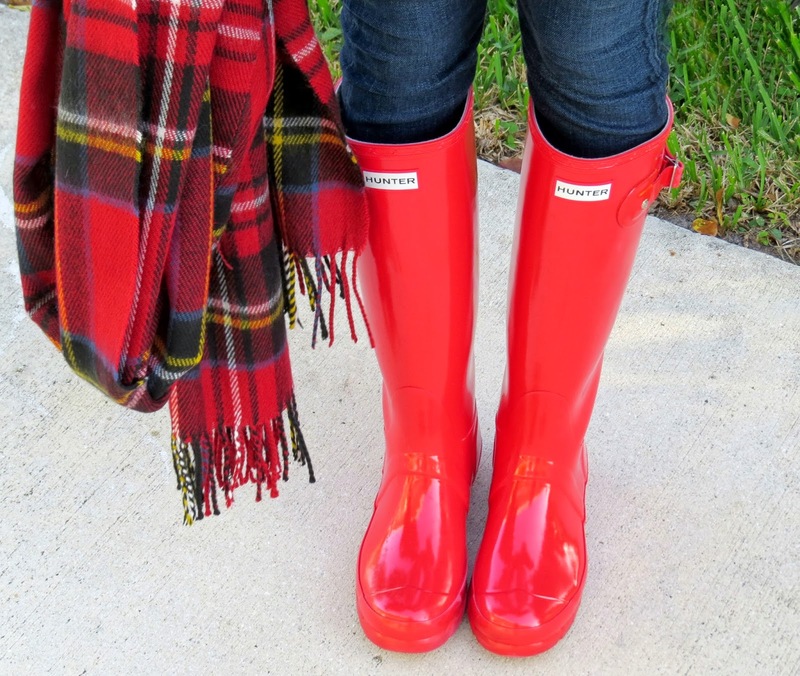 love the red hunter rain boots! Tartan and sequins? yes please! 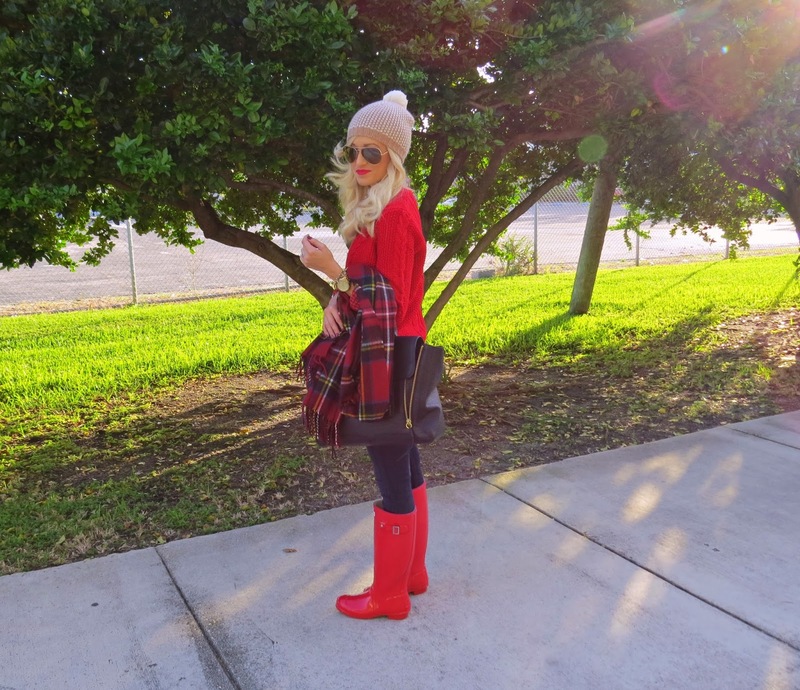 Such a cute outfit to rock your Hunters! This look is so freaking cute. Such perfect teeth too! I tried this sweater and it did not look cute on me. :( It looks amazing on you though!! Love your color choices! I love the colour red!!!!!! beautiful!